Limestone is a beautiful and durable natural stone flooring choice. With the right care, your limestone floors will add beauty and a touch of luxury to any space. Follow these tips to keep your floors looking amazing and prevent dulling. Limestone is a calcium-based stone and contact with chemical abrasives and acidic substances can cause etching which also causes dull spots. Avoid using the wrong cleaners on your limestone especially vinegar. Vinegar is a popular homemade cleaning solution ingredient in many of today’s popular green cleaning solutions, but using vinegar on limestone is a big no-no. Only use cleaners specifically made for limestone. If your limestone has come in contact with something acidic or abrasive it will need to be polished out. Small shallow etches can be polished out of honed limestone with a DIY polishing compound, but deeper etching will need to be polished out by a professional. Some spills that are not cleaned up quickly can leave dark spots behind on the limestone. Dark spots can be removed with the use of a poultice. A poultice will safely absorb stains on the surface without further discoloring the stone. Ready to use poultices can be purchased in a store or you can make one on your own by looking up instructions. To get the best protection for your limestone floors, it is best to have them professionally sealed. Sealant will not keep stains from happening, but it does give you more time to get to a stain before it damages your floor. Over time you will need to have the sealant re-applied as it can wear away with regular cleaning. Rinse tiles after cleaner is applied with water, if your tap water is hard water use filtered or distilled water and wipe dry right away. Hire a professional to deep clean and re-seal your limestone at least annually, more frequently for high traffic areas. 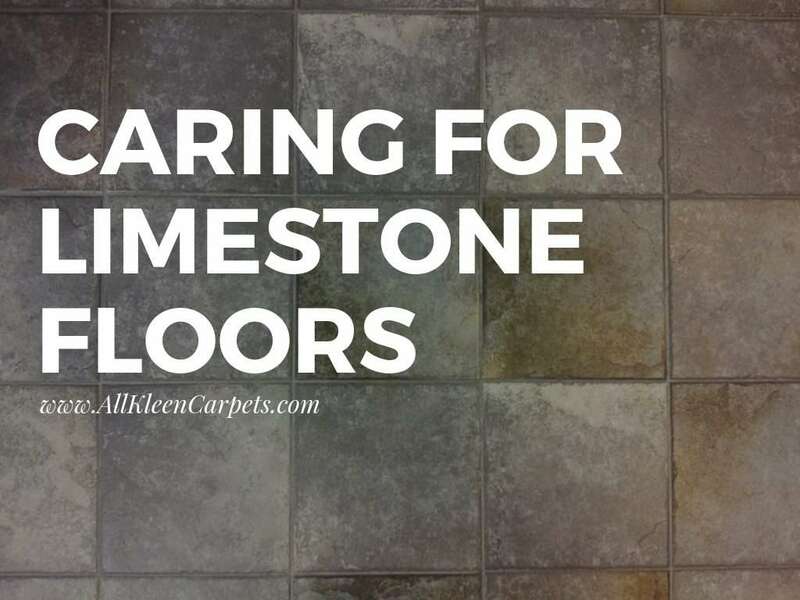 The best way to keep beautiful limestone floors looking luxurious and beautiful is to know everything about proper care and putting it into practice. From using the right products to cleaning routinely and having professional deep cleanings. For the best professional natural stone cleaning in Lynnwood make an appointment with All Kleen.